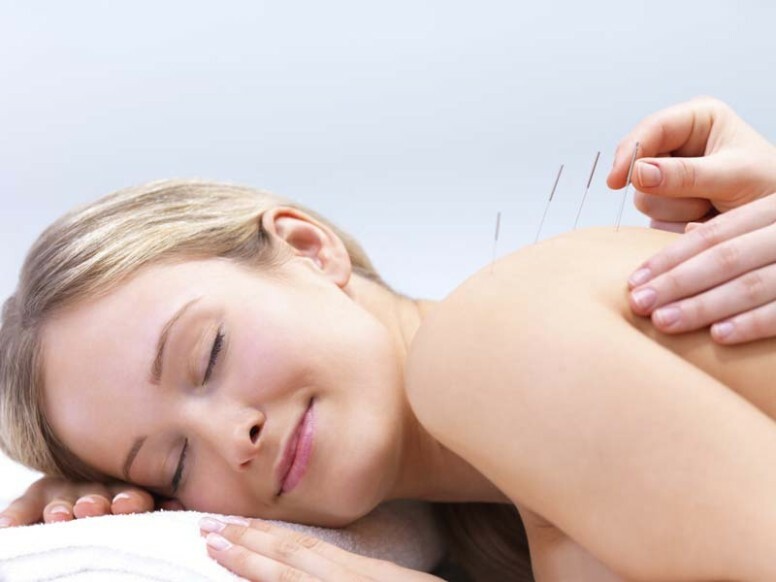 As well as treating these irregularities, Acupuncture can also treat problems at period time. These may include pre-menstrual breast distension, headaches, bloating, irritable bowel, aches and pains. Some people can also get mouth ulcers and skin conditions at period time. Acupuncture is also goo0d at treating mood changes at period time. Acupuncture and Herbal Medicine can also treat diseases and conditions in pregnancy, for example, morning sickness, threatened miscarriage, aches and pains, dizziness and anxiety. Acupuncture is also used for childbirth. Electro-acupuncture is used for analgesia during labour to help with pains. Acupuncture is very effective for breech presentation, with acupuncture applied to a point on the toe which changes the position of the baby. This is best done in the last few days of pregnancy. It is very quick, sometimes a baby will change position in a few hours. Acupuncture can also induce labour if the pregnancy goes on too long. Acupuncture and Herbal Medicine are also used for Fertility, both for male and female infertility. Acupuncture and Chinese herbs is widely used in China to treat fertility issues. It can actually be traced back as far as the Shang dynasty 1500-100BC when their first gynaecological records were written. They can be used in their own right to help the couple conceive, or are used in conjunction with IVF. Problems like abdominal masses, ovarian cysts, and polycystic ovary disease can also be treated as these can also inhibit conception. It is gaining momentum globally as a valid way to treat the couple trying to achieve pregnancy . To date, it has not proven to cause harm to fertility or negatively affect or interfere with an IVF outcome. In actual fact the data is there to suggest otherwise. Conditions like Candida infections and genital eczema are also treated. Symptoms occuring around menopause are treated. Menopause is not a disease but is a change in function in the body when menstruation ceases. When there are changes to the levels of oestrogen and progesterone, some women can experience symptoms like insomnia, hot flushes, tiredness, headaches etc. Another area where Acupuncture is increasingly used today is facial rejuvenation Acupuncture. Also known as Cosmetic Acupuncture, this is an effective, non-surgical treatment to reduce the signs of ageing. It is based on the principles of Chinese Medicine, which involves the insertion of very thin disposable needles just under the skin on the face and body where needed. Also included in my treatment is a facial massage which relaxes the muscles in the face as well as adding essential oils. The idea, of course, is to live a healthy and full life. Acupuncture and Herbal Medicine are used, therefore, to get rid of the symptoms which prevent this. For simple problems, a few treatments might suffice. For more long lasting problems, treatment is usually done once a week for three menstrual cycles. For more stubborn conditions a longer treatment time is necessary. Herbs may also be prescribed. When the symptoms are no longer present a few regular acupuncture treatments will keep the patient healthy. Another method is to take up regular classes in Tai Chi or Qigong. These are health systems which, when practised regularly, will keep you healthy. I am an Acupuncturist as well as a practitioner of Herbal Medicine. I also teach classes in Tai Chi and Qigong. I can arrange private classes for a more speedy recovery. I have been practising for nearly 20 years. I trained in Dublin and China. I have been in Cork for a year now. If you would like any further details, or have any questions, please contact me.